A few weeks ago I made my way into Zara to take a peek at what they had laid out for this season. I knew that Zara fall fashion for 2017 would be very spot on and give me a good taste as to what the trends are for the season. It’s also nice that Zara is a European company because I feel like I’m getting an edge on trends that the euro ladies are sporting across the pond. I’ve found that it’s much easier to go into the store (Dallas girls: I went to the Galleria one instead of the store at Northpark – I think it has better selection! Anyone else agree?!). The Zara website needs some serious updating – not the smoothest user experience in my opinion (but I do love getting their emails for the style inspiration, worth the signup in my opinion). Anyways, I found some amazing fall staples on my last trip and had to share what I found. Checked dress ($49.90): Somehow all of the pieces I got can actually be worn to the office very easily. Now that I have a full-time job, I like to buy pieces that I know I can easily wear to the office on a daily basis and out on the weekends as well. The fit and tailoring of this dress is classic that I think I can wear for many fall seasons. It’s also a light enough fabric to keep me feeling cool in the 90 degree Texas temperatures right now. Plaid blazer ($129): The plaid blazer (or the blazer in general) is the new black this season. Seriously every European blogger I see is wearing one. 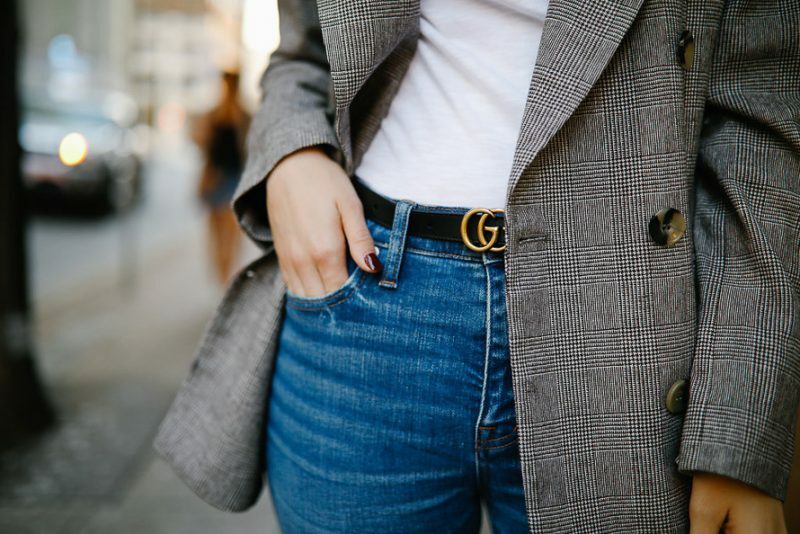 SO if you want to be #euro and #chic for fall, then a plaid blazer is the perfect place to start. Consider draping one over your shoulders if temperatures drop at night or it’s chilly in your office (mine is reminiscent of the arctic tundra). It’s a great transition piece and might continue to be a really good layer for warmth for girls who live in Texas fall/winter. Black + white pajama top (29.90): I’d been hunting around for a sleek and chic pajama top after seeing them styled on Pinterest so often, so when I found this top I knew I wanted it. It’s formal enough to wear with trousers for the office and then I like that I can style it more casually with ripped blue jeans. Zara fall fashion for 2017 is really good, and I feel like I could’ve spent so much money on #allthethings. There were tons of fun trendy pieces like their ‘rodeo’ collection, but I made sure to keep myself focused to pick good staple pieces that’ll take me throughout this season and into more seasons to come. That’s why I stuck with classic, tailored pieces like blazers (you can never have too many jackets) and dresses (easy to wear especially for Southern gals in the heat until November)! I’m sure there are more Zara lovers reading along! What have your thoughts been on the fall fashion at Zara this season?! Let me know over on Instagram!